Poet Laura Foley is not new to publication having won a couple of poetry contests and been read by Garrison Keillor on The Writer’s Almanac. She is the author of six collections of poetry, all of which have received rave reviews. Into the bargain, she has a unique photographer’s eye trained to unusual perspective and subject matter. You really need to visit her website to see what I mean. Her perceptive eye and heart, perhaps enhanced by her Buddhist training and work as a prison and palliative care volunteer, make themselves known in her sparse but tell-all verse. In this slim volume of poems about her father, Foley offers brief glimpses into moments both before her birth and after: the stoic soldier and the distant father, two lives in one being. The counterpoint provides context that extends far beyond her few words. Foley’s style resonates with me. Moments are captured in carefully crafted containers of short verse, rich in detail and tight in construction. Consider the contrast of the father in “Yasumé” who made up stories “… at ease, in Japanese/his favorite word” and “the world/powered by a word” (10)—with the one in “Daddy’s Girls” who calls his girls “a Chinese curse” his ease gone and their learning “to turn away/duck his gaze/but still he broke us…” (13). Another pair portrays the complexities of the man’s lived experience: “Prayer, 1943” with its image of intense focus reframed as prayer (12) while in “WTF!” the father’s words become damning: “You’ve missed an opportunity to please” (14). Of course, the double entendre of “WTF” is not lost on the reader anywhere in the collection; here it is front and center. Foley has mastered the art of the punchline. Even in short verse, there is often a twist at the end that brings the reader up short, requiring a second, even third reading of the lines to fully savor the impact. I’m thinking, for instance, of “Not Humming,” the harsh demand on forced march and the poet’s observation, “My father not humming / the whole of four winters / or to my knowledge, since” (15). In “My Father’s Roses,” we see the man’s tenderness at its most poignant, his attention to the roses’ care and “tenderly placing each / in its own vase / never minding their thorns” (19). Clearly the poet has not been able to overlook the thorns between them; yet, she is able to appreciate, even celebrate, this tenderness in him in the same breath with which she yearns for some of it for herself. 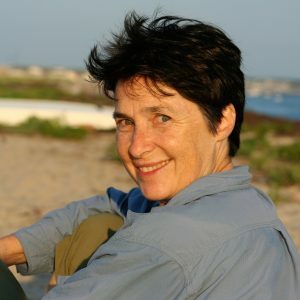 In thinking about the language Foley uses in her work, I am struck by recurring uses of temperature, particularly variations on “chilly,” “frigid,” “icy”—and how the sense of distance often associated with coldness pervades the poems. Perhaps the most telling line is “for him the war is never over” (“Sendai Prison Camp, 1945” 18), And surely this is the legacy of many who, like Foley’s father, fought in a war of unimaginable horrors, deprivations and unknowns. How could one escape without scars both inside and out? And how could a child understand any of that growing up? So it is with a sense of compassion for both father and child that the poet offers another kind of twist: “his survivor eyes / just like mine” (“Hindsight” 21) and “Now he’s receiving an award…beaming into the camera / with my pride and feistiness” (“Family Photograph” 29): the father has the daughter’s features, rather than vice versa. Each poem is a microcosm all its own. Taken together, they weave a pre- and post-collage of a challenging relationship that forms the backdrop for deep self-reflection. The poet manages to offer her story without any trace of self-pity; rather, she stares directly into the truth. It is perhaps this resolve for balance that makes one poem stand out for me—dare I call it my favorite of this collection?—for its compassionate insight, simply stated. “Dad’s Last Night,” in eight short lines, tells a lifetime. And its craft is so exquisitely pure. I keep lingering on the last two lines: “Imagine then / his long walk home.” I cannot help but sense a deeper meaning here, as we imagine his long walk home to her heart. 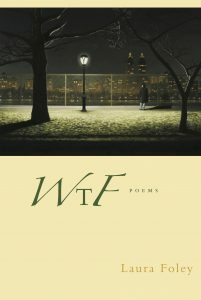 Foley’s “WTF” is a deceptively modest volume that begs rereading to fully appreciate its depth and reach. Her words will touch each of us in our own way through universal themes of experience and relationship, offered through unique details of a time and place that shaped so many. Sarah W. Bartlett is a poet and writing facilitator. She created “writing inside VT” to inspire incarcerated women to find their voice for personal and social change. Sarah’s writing celebrates family courage, nature’s wisdom, and her work empowering women.